Passivation means to alter the chemical structure of a metal at or just below the surface, so that it’s more stable and doesn’t want to react with other elements in an undesirable way. There are several different manufacturing processes that we routinely use to passivate the surface of a part. The reasons for doing this are many: to improve hardness, corrosion protection and cosmetic appearance, to name a few. How do we achieve this? Let’s take a look at the most common methods and what they’re used for. 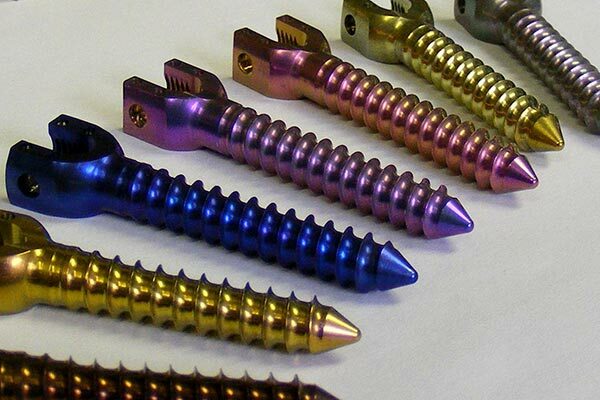 Anodizing is a way to passivate the surface of aluminum, titanium and magnesium parts. In this case, a coating or some other material is not added on top. Rather, the actual surface chemistry of the metal is changed or “converted”, so this is called a conversion coating. 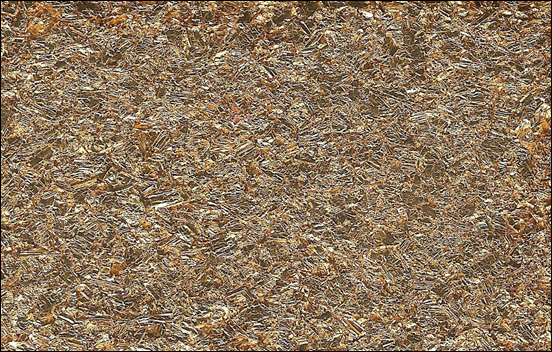 The top layer of metal – about 5 microns thick – is first cleaned and stripped in a bath of sulfuric or hydrochloric acid. Then, the part is placed into another tank of liquid, called the electrolyte. When the target piece is given a positive electrical charge (the “anode” in anodizing), it will attract the negatively charged ions floating around in the electrolyte. They then bond with the surface, creating a new, strong oxide layer. Why do you want this? Once you have aluminum oxide on the surface it’s very stable and scratch-resistant. It protects against rust or corrosion, and also makes a great primer for additional treatment like paint or powder coating. When dyes are added to the electrolyte, they make the customary colored look that we associate with anodized parts. Bluing is another conversion coating, but this works on steel. Like with anodizing, the target part is cleaned with acid and then dipped into a different electrolyte chemical solution which forms the familiar blue surface that is often found on gun barrels. A blued surface looks nice and it helps to reduce glare but it’s very thin, so regular treatments of oil are needed to maintain corrosion protection. Parkerizing is similar but more robust than bluing. The surface comes out looking a dull matte grey, so this is used where cosmetic finish is not important but better environmental performance is. Dark grey or black oxide conversion coatings using this same technique are sometimes done for fairly inexpensive treatment of mass produced automotive parts. Although named after the Italian scientist Luigi Galvani, the process comes from India originally and refers to dipping steel or iron parts into molten zinc. This is called “hot-dip” galvanizing, and it’s immediately recognizable to any school kid climbing a backyard fence. The familiar flat grey, rough finish of zinc provides corrosion protection on mild steel but the finish is not especially precise and doesn’t aid in mechanical performance. The zinc also has the secondary benefit of being a sacrificial anode. Let’s say the outer layer of zinc is damaged, exposing the steel underneath. Time for free oxygen to attack the steel and create rust, yes? Not so fast. 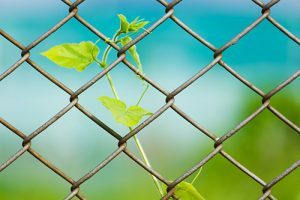 The oxygen radicals have an easier time bonding with the zinc and making zinc oxide instead, so the zinc “sacrifices” itself to preserve the steel, at least for a little while. 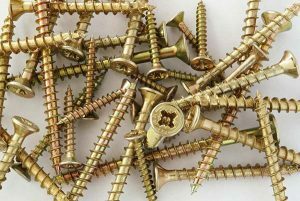 Another variant here is yellow zinc plating, which is very familiar because of the typical iridescent yellow-green color that’s so common on nuts and bolts and other low-cost hardware. A common plating process that makes the shiny, polished surface that you find on everything from kitchen faucets to hot rod engines. And it’s not just for metal; many plastics can be chrome-plated as well, so long as they’re not damaged by the chemical bath. Chrome is beautiful, hard and durable, but there are some trade-offs. 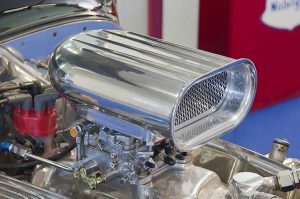 Chrome plating uses chromium and the industrial process can be environmentally harmful so it must be carefully controlled – that’s one of the reasons for the higher cost. And if the chrome starts to flake or peel off of a surface you can’t just “touch it up” like with paint – the entire piece must be stripped and re-plated from scratch. Hard chroming is another technique used to put a super-durable coating on moving parts like bearings and shafts. One possible substitute for chrome is nickel plating, which can be polished to a high luster if desired. Like chrome, nickel can be used for a decorative finish, for corrosion protection, and to increase surface hardness and abrasion resistance. 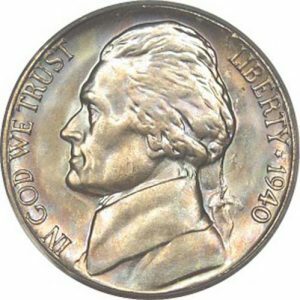 Nickel is also used as a base coat for a later application of chromium. The use of nickel as a plating material is not considered as hazardous as that of chromium, though it may be more expensive in many applications. 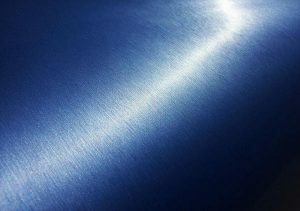 These are the most common passivation techniques we use every day, and each has their inherent advantages, costs and limitations. 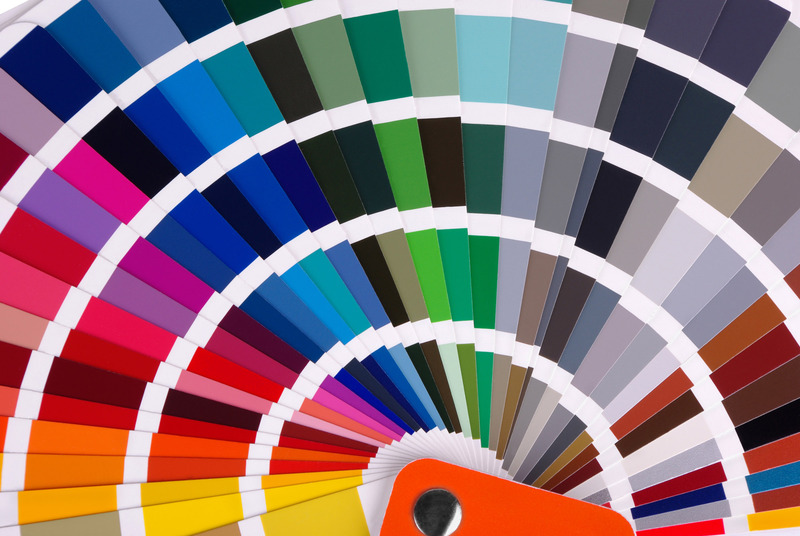 If you’re still not sure which one is right for you read more about our finishing services or talk to one of our sales support engineers today for more information and a free quotation.